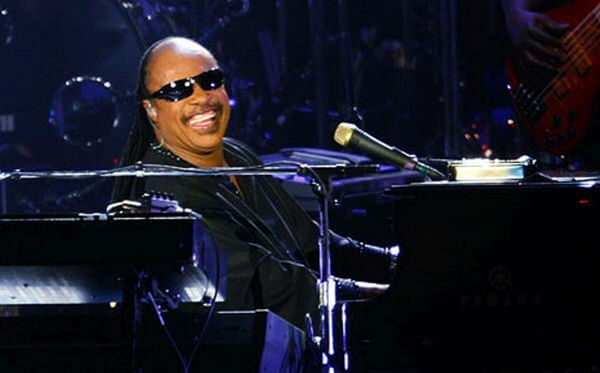 Waiting for someday we can hear the project with Tony Bennett for a jazz-tinged album, comes to mind Stevie Wonder's great performances in jazz festivals. 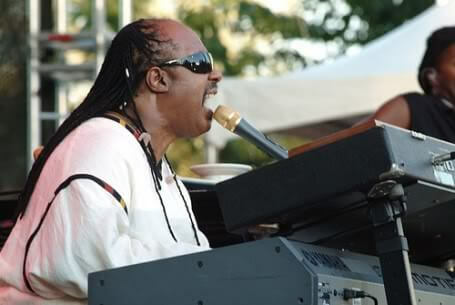 Remember, her first album in 1962 titled The Jazzsoul of ... and many times that has participated in jazz festivals in the world, Montreal, New Orleans, Monterey ..., and there are no barriers or boundaries to the music of Stevie Wonder, is universal, and as such, fuses and used. Possessing the particular wand, delights us with fantastic transformations of his themes, which adapts to the situation that is, sharing with a delicious and receptive audience, he realizes the unconditional surrender of Stevie. We can feel it in the proceedings of this century or go further, but always the same, the delivery of Stevie and his music is full. One of those actions which have appeared in video is the X anniversary of the festival in Tokyo (Japan). The year was 1981 and Stevie played in key of jazz two genuine musical jewels, "Sir Duke" and "I Wish". Now we can only hope that album, the duet with Tony Bennett with the production of Quincy Jones, and that the differences between record companies, Motown and Sony-BMG, enabling the binding of these two men for a single purpose, the good of the music.